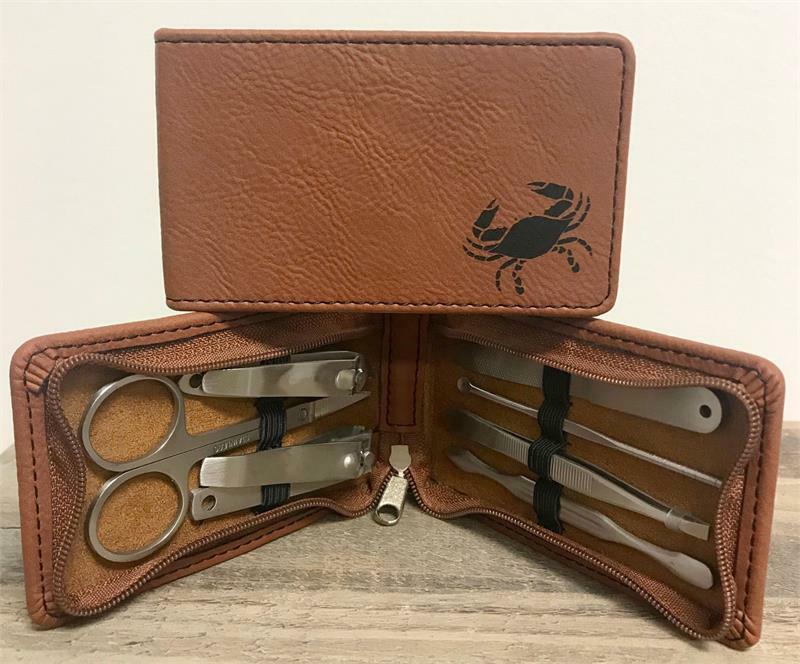 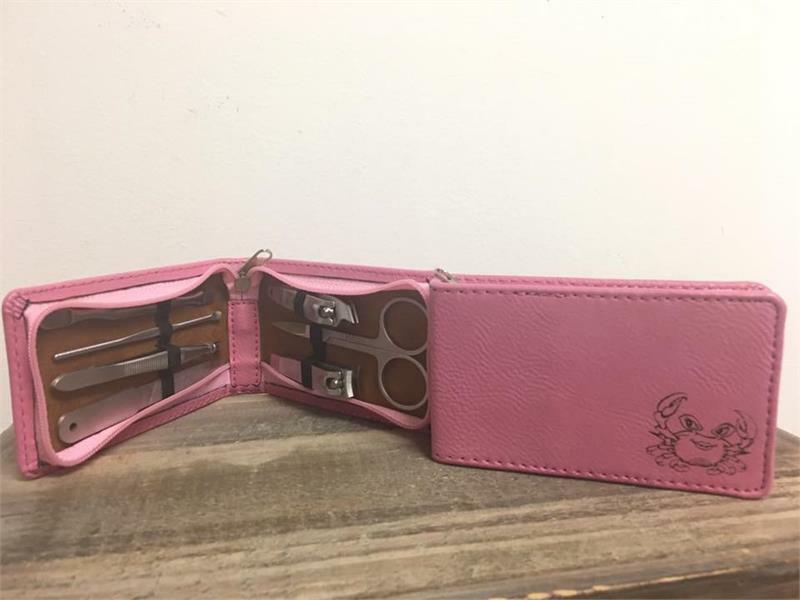 This cute leatherette Manicure Gift Set zips and has all the essentials. Perfect for your purse, glove compartment, or overnight bag. 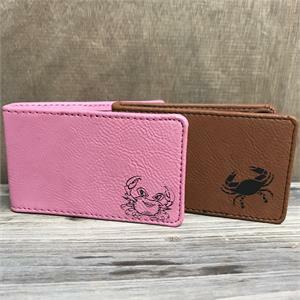 Also available in rawhide with a male crab for the men. 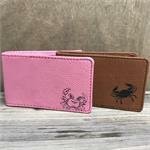 $9.95 Add $5 and they can be customized!